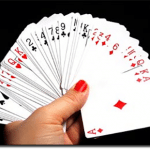 Right now at Jackpot City Casino, playing blackjack or any other casino game for real money could see you walking away with a share of an alluring $5,000 prize pool. It’s all part of the new Fantasy Rugby League promotion (and no, no knowledge of sports or rugby is required) where you pick a team to join, earning points for your team every time you play while enjoying the camaraderie of teamwork and group competition. The team with the most points at the end of the promotional period splits $5,000 in casino credits between its top 100 players, while the top five earners for the team will also receive a rugby jersey of their choice. 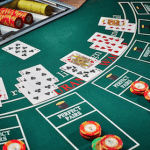 Play blackjack, roulette, pokies, or any other game for real money at Jackpot City and you’ll earn tickets for your team for every wager you make. Wager on the Microgaming pokies game, Rugby Star, to earn double the tickets. For every deposit of $100 or more you make during the promotional period, you’ll earn an additional ticket. Take advantage of Jackpot City’s Deal-a-Day offers to earn extra tickets. The leaderboard is displayed within the Fantasy Rugby League promo page, so you can check to see how your team is tracking at any time. You’ve only got until the 31st of March to join the Fantasy Rugby League, so scoot on over to Jackpot City today and sign in to start playing. If you’re new to this casino, follow our links to register for a new account and you’ll also claim up to $1600 in welcome bonuses spread out over your first four deposits. And that’s only naming a few! 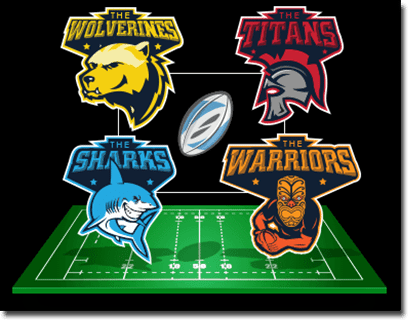 Sign up at Jackpot City Casino today to claim your $1600 welcome package, join the Wolverines, Sharks, Warriors or Titans and help your team reach the top of the leaderboard to claim your share of the $5K prize pool.